Tech & Learning's Tech Forum Atlanta will take place at the Atlanta Marriott Perimeter Center in Atlanta, GA on Friday, March 28, 2014. We have arranged for preferred hotel rates for conference attendees. When making reservations, simply mention that you are attending Tech Forum Atlanta for a special room rate of $129.00 (single or double occupancy) plus applicable tax per night. Deadline: March 5, 2014. Just fill check-in/check-out dates on the Tech Forum Atlanta special rate page. To book via the Hotel Website, https://www.marriott.com/hotels/travel/atlpc-atlanta-marriott-perimeter-center/, please do the following: Under Check Rates & Availability, enter check-in/check-out dates and be sure to click to expand the section entitled Special Rates & Awards. Under Group Code, enter TECTECA and click Check Availability. Note: the Tech Forum Atlanta discounted rate is available online only by entering the group code under Special Rates & Awards. Once the Tech Forum Atlanta group page appears, simply follow the prompts to finalize your discounted online room reservation. 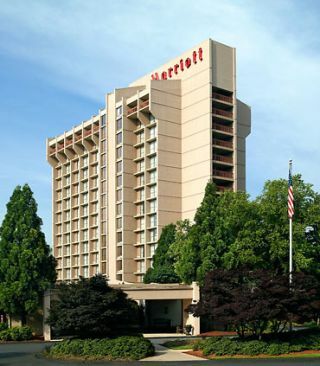 With a premier location in the Dunwoody Corridor, the newly renovated Marriott Atlanta Perimeter Center Hotel provides travelers with unparalleled service. Surrounded by fine dining, world class shopping at Perimeter Mall and entertainment, our Dunwoody hotel is ideal for business and leisure travelers. For guests looking to explore, our Atlanta Perimeter hotel is located 15 minutes from downtown and is accessible by MARTA. Featuring 341 comfortable rooms wired for business, this hotel in Dunwoody, GA offers complimentary parking and access to a well-equipped fitness center and pool. For guests looking to host conferences or special events, our 18,000 sq. ft. of renovated meeting space boasts innovative technology and banquet facilities. Discover a favorite amongst Dunwoody, GA hotels. Parking: Tech Forum Atlanta participants are entitled to complimentary self-parking onsite.